4. Add EWS service URL (the EWS URL should start with “https://”.) Yoxel supports MS Exchange servers starting with 2007. Check Exchange provider's documentation. Often it will mention the EWS url when describing Entourage 2008 mail client configuration. 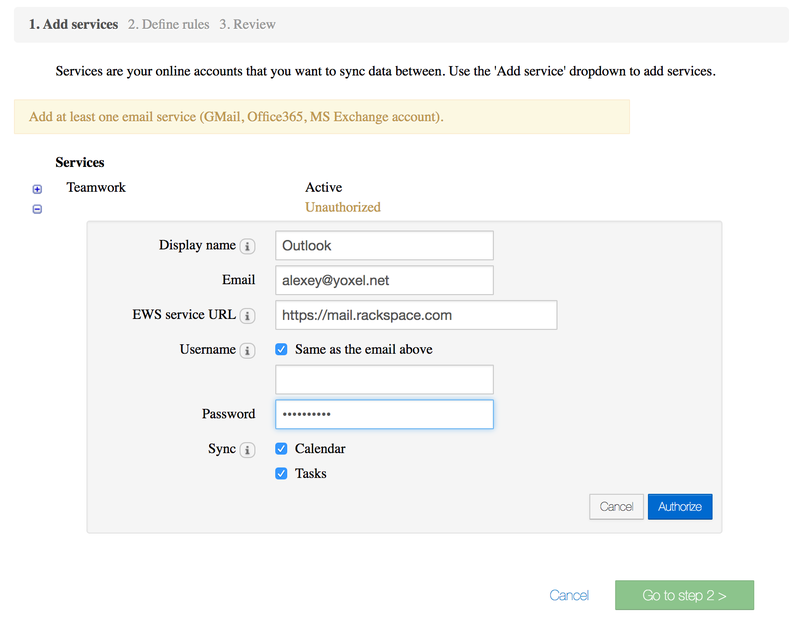 If you don't know your EWS URL try the URL you use for webmail login. 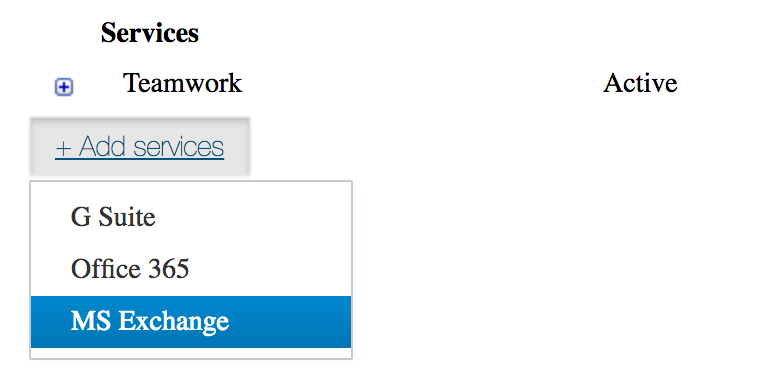 If the EWS service is provided by your server you'll see an authentication box pop up in your browser. Use that box to test your username and password. Usually your username will be your email and if that does not work try your windows style 'DOMAIN\username' username. Upon successful login you'll get a page full of xml. Please fill Outlook service form using the username and password you used here. In Yoxel simply specify the server part of the url https://<server-name> (Yoxel appends /ews/exchange.asmx under the hood). 5. Specify username and password. These should be exactly those that are used to access your MS Exchange account online. The username could either be your email address or a windows style 'DOMAIN\username' login name.